The NSW Premier’s Council for Active Living (PCAL) aims to build sustainable partnerships across Government, industry and the community sector to promote physical activity and healthy eating. 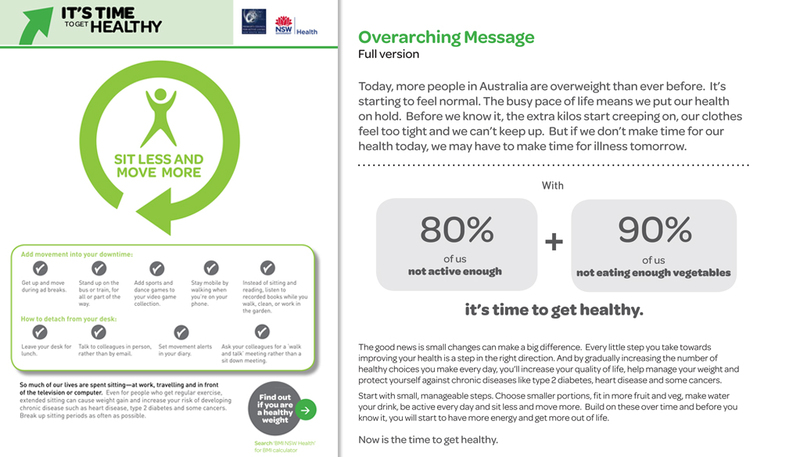 After comprehensive Australian Government consumer research was undertaken, key messages were developed to increase the adoption and maintenance of healthy lifestyles and weight. Copywriting for the final key messages was required, creation of infographics and overall user guide needed to be developed. Hopping Mad provided copywriting services to tighten and review the key messages. An infographic for the suite of messages needed to be created in such a way that individual messages could be pulled out and used on their own. 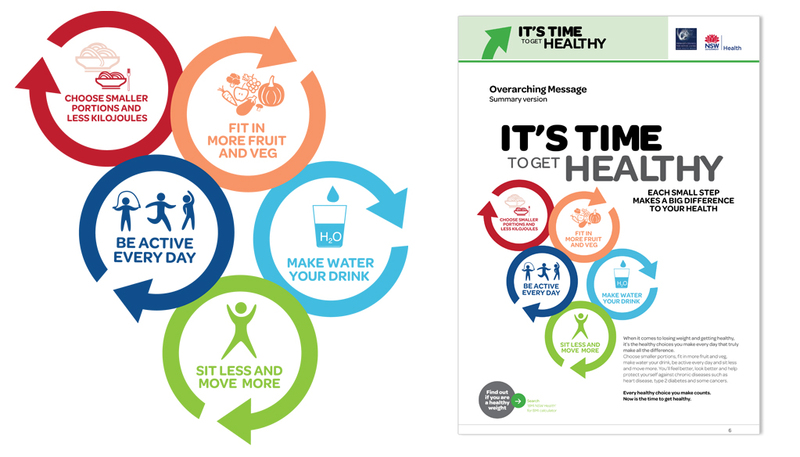 Working with the “It’s Time…” title, a clock like formation of releveant graphics for were illustrated, each colour coded. A final user guide was provided for the messages.